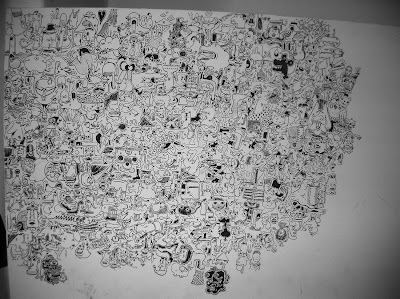 The big drawing is coming along. One character every day is the idea. 4 feet sqare, started it June of 2008. At this rate, might get done sometime in the summer of 2010, unless I decide to draw one really BIG character that takes up most of the space.